No, not Tom & Katie's divorce settlement, you'll never read anything even vaguely celebrity centric on this blog. One of Tom's other legacies, the film Minority Report has arrived in the form of two entirely unrelated, extraordinary pieces of technology. Firstly, SF.Citi (screenshot via BuzzFeed above). It turns out, despite patrolling a city at the true heart of technology, almost the entire San Francisco Police Department have been without a decent internet connection or a more savvy way of connecting crime information than stapling a few reports together. But now, thanks to local venture capitalist Ron Conway and a cool $100 grand, SF cops will be leading the way with a centralised mobile database called SF.Citi (more details here, if you're interested). But surely the glaring piece of tech we've all been waiting for is a purely touch-free browsing solution so we can skip through more screen based content even quicker? Never fear, dear reader... 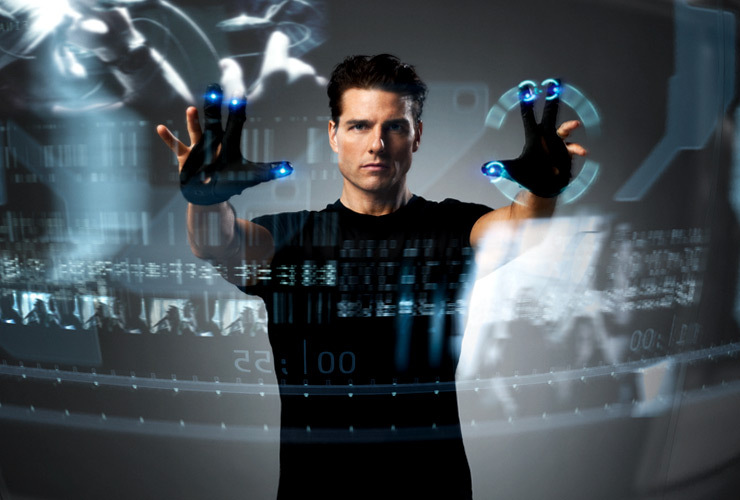 The uber nerds from Leap Motion appear to have solved Mission: Impossible. Just watch. High levels of accuracy mean a lower entry point. Translation: Someone without arms or legs could probably use this to draw beautifully, or interact in much, much finer detail than ever before. Finicky, inefficient keyboard on your tablet? Install a Leap Motion app and you'll never have to touch (or clean!) your screen again. But most importantly... My baby son won't be chewing on our remote controls anymore, because we wouldn't need them. Just point and shoot for just about EVERYTHING.